Iris had visited the different shopping districts in New Zealand a few times now. Her parents seemed to really like the places, especially her mother. She knew it was partly because her older brother and sister were at Hogwarts, so they often bought supplies here, but today they were here for supplies for her and her twin sister. Her mother had decided to go during the term for the first few things, so they wouldn't have to buy everything at once during the break. Her twin sister Emma had been very excited, though Iris had mostly enjoyed visiting the book store. She had asked if she could go read one of her new books by the water instead of going to the last few shops, and her mother had said it was alright. So while her mother and twin sister went into some of the shops, Iris had found a quiet bench with a view of the ocean. She took a seat and opened her new book 'Omens Oracles & the Goat' by Bathilda Bagshot, the girl smiled to herself as she started to read. Downtown and lovely public, even if a slightly shady place. She had bought a new reading substance in her arms, which she had bought inone of the book shops that were put in the girl's backpack. By the way,except for your photoparate. It must be remembered that Jenna loved to photograph photographs that were related to nature. Nothing that she was a kid in her years, but she had successfully found her first hobby. Dad had gone on his business, the girl had nothing to do, and she decided to explore a little. It was strange to be here, and so strange, because she couldn't forget her home in New York. She longed for her friends, but from time to time she called New York to find out how they were while she was here. She walked slowly and suddenly came close to a bench and stopped there to photograph her camera to the ocean. She didn't notice for a moment when she was sitting looking at the ocean. When she finished photographing natural views, she put her camera around her neck and walked over to her. Hi, don't you mind if I join you? Jenna smiled at the stranger.She felt safe and confident about herself, and she could easily find contact with the other. Iris had only finished one page before a girl spoke to her, which distracted her from the book. But she didn't mind, she knew she had a lot of time to read it. Iris noticed the girl had a camera with her, and wondered if she had been taking pictures. The girl had been too caught up in her book to really notice. "Hello, of course I don't mind." Iris said with a small smile, she moved aside a little bit to make more room for the unfamiliar girl. She looked to be around the same age as Iris. "What's your name?" She asked the stranger softly. Iris was soft spoken, but not really that shy. She was curious to learn more about this girl. -“Thanks,”- She smiled at the stranger, who didn't mind when she joined her side. She sat down beside her and took off her handsome black purse and put it on her chair. When she returned to her smile and leaned back in her chair, Jenna studied the stranger. -“My name is Jenna Jusantrea and what is your name?”- She had to hope for the first version. She hoped she would get a lot of young friends and be able to go to school together and get to know some new and memorable adventures. The letter from Jenna was still in the black bag from Hogwarts, and there was so much to buy. Iris kept the book on her lap as she looked at the new girl, it was nice to meet someone new even if she had been hoping to read a little bit. With her twin around, Iris never really had to be lonely, but it would be good to make some friends of her own. Especially before Hogwarts, so she would know some people once she was there already. "It's nice to meet you Jenna, I'm Iris." She said pleasantly. "Are you going to go to Hogwarts next year too?" She then asked, she guessed the girl was around her age, but she could also be a year younger, or even older. Iris wasn't really sure. The girl always loved to meet new people and get to know their own nature. My mother used to teach that the first time dating has always been important. It was before that, when she was still alive. Jenna smiled for young girls and says - Very nice to meet you Iris! - Jenna replied the new friend. Irisa seemed on the edge of clean nice girl and curious as to how much was Jenna. But perhaps the first impression made her think that it was always insidious. -Yes, I also go next year to Hogwarts and my brother Thomas to and you ? - She asked when the hair curls congestion behind the ear. -What are you reading?- She looked at her book and this one was be interesting and Jenna wanted to know. Iris was happy that the girl seemed pleased to meet her too. It would certainly be nice to have a friend at Hogwarts next year, especially as Emma was usually better at making friends than Iris was. "Oh, is your brother going next year as well?" She asked, unsure what the girl meant. "Are you twins? I'm a twin." She said with a smile. "My sister and I will be going next year too." At the girl's question about the book, Iris showed it to her. "It's a book about different Divination techniques. That isn't a subject we will have in first year at Hogwarts, but I still want to know a lot about it." She said softly. Yes, he going with me to the Hogwarts. I'm very excited about my first year and you? She smiled to Iris. 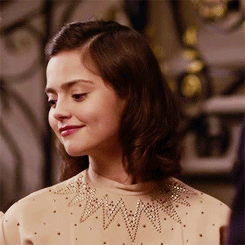 The new girl was a realy nice person and Jenna hoped, she and Iris will be great frends. Yes, we are the twins. Thomas is very good brother. Where are you from? Jenna was never be shy girl, she was very friendly girl with everyone. She listened Iris and was smiling about her sister, mayby she was now going with her go to the school? Mayby, you wanna go with me to the shcool together, if you want? Jenna asked Iris, and crossing her fingers for good luck, hoping she wouldn't give up her friendship to go to school together. The main thing is that you like what you read. She smiled to Iris, but the book was interesting to Jenna and mayby later she going to by this book to read.